It can be a scary time when a loved one is diagnosed with Alzheimer’s. Caring for a person with Alzheimer’s is a difficult endeavor since even the most routine tasks can become intimidating obstacles. But Alzheimer’s does not have to impede your loved one’s dental health. In fact, if your loved one is located in Manhattan, they are in a position to receive the best dental care in the country. There are many important questions that concern an Alzheimer’s patient’s dental health: How will they be able to make it to the dentist? How can you tell if dental care is required? Are there any dental offices with programs for Alzheimer patients? If you’ve found yourself asking these questions, then you can put your worries to rest. Dr. Alisa Kauffman is one of the top dentists in the country, and she has the best Alzheimer’s dental experience Manhattan has to offer. Let’s look at some reasons why Dr. Kauffman is the best dentist for your loved one. Nation’s best: Dr. Kauffman is a top 25 dentist, which means that she is one of the top 25 dentists in the United States. Her achievements, experience and consistent dedication to dentistry set her apart as the cream of the crop. Mobile dental services: Alzheimer’s greatly hinders a person’s mobility. It can be extremely difficult to travel to the store, let alone going to the dentist. Dr. Kauffman understands how difficult travel of any form can be for Alzheimer’s patients, so she travels to them. There is no need to travel to the dentist’s office or the nearest Alzheimer care facilities. Dr. Kauffman is not one to let some distance keep her from attending to your loved one’s dental needs. Extensive experience: Dr. Kauffman not only has over 30 years of experience in dentistry, but much of her professional career has involved providing dental care for individuals with Alzheimer’s. While some dentists may occasionally treat individuals with Alzheimer’s, Dr. Kauffman has made it a major component of her career. Make no mistake: Dr. Kauffman has the most extensive Alzheimer’s dental experience Manhattan can provide. Genuine care: It’s no accident that Dr. Kauffman has so much Alzheimer’s dental experience in Manhattan. She genuinely cares about her patients and wants to make sure that every Alzheimer’s patient in Manhattan receives the dental care that they need. This is not just her job. This is her passion. 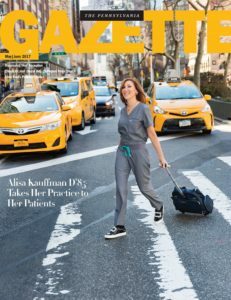 Dr. Kauffman was also recently published in the Pennsylvania Gazette, mentioning her skilled work with geriatric patients, take a look in the May/June 2017 issue. If your loved one has Alzheimer’s and is in need of dental care, then Dr. Kauffman will provide the care that you need. Call us today at 917-826-6278 to set up an appointment! What makes someone a pioneer? A pioneer is someone who forges ahead, carving pathways through the wilderness, challenging archaic conventions with innovative insights. Pioneers create order out of chaos and beauty from the mundane. Pioneers revolutionize the way people think and live. Pioneers harbor an unrelenting desire to make a better world and, through perseverance and ingenuity, transform hopes and dreams into reality. Sometimes pioneers are recognized immediately. Other times, pioneers are not acknowledged until the time for their accolades are long overdue. Fortunately, Dr. Alisa Kauffman is being recognized more and more for being one of the most formidable pioneers in the world of dentistry. Dr. Kauffman’s prestige has become so prescient that the Pennsylvania Gazette has devoted an entire article to chronicle the unique contributions that she is making to the geriatric community of Manhattan through Geriatric House Call Dentistry. The Pennsylvania Gazette highlights the unique nature of Dr. Kauffman’s work, which is anything but ordinary. She offers what’s known as “in-home dental services”. While so many dentists have patients pay them a visit, Dr. Kauffman brings her office to her patients. She travels with a portable office because she treats elderly patients, with an average age of 90, who need dental care but are not able to travel to a dental office. The Gazette chronicles how Dr. Kauffman’s passion for geriatric dentistry was established during her time in dental school. While her classmates were working on the latest cosmetic dentistry, Dr. Kauffman was receiving accolades for designing the best dentures. Little did she know that her desire to make high-quality dentures would play a role in an innovative form of dentistry that drastically improves the lives of the elderly. Dentures can help older adults enjoy all kinds of food and, as a result, continue to experience the joy of a delectable diet. Dr. Kauffman is not solely driven by the desire to meet basic needs, but also wants to provide the oral care required for older adults to genuinely enjoy things such as flavorful food. She understands that attentive dental care can mean the difference between a bland meal and a delectable feast. Older adults have every right to enjoy the finer things in life, and dental problems should never stand in their way. It’s impossible to ignore the prestige of Dr. Kauffman and her work. She loves meeting fascinating characters, and diligently works to ensure that her clients receive the help that they need. She knows no bounds, pounding the pavement of one of the most bustling cities in the world with a backpack, dental expertise and a mission to change lives through geriatric dental care. Her unrelenting resolve is fueled by an ever-growing passion for her work. Dr. Kauffman’s business, Geriatric House Call Dentistry, has grown extensively over the years, as she serves a rapidly growing but extremely underserved demographic. Her innovative techniques help her address needs that are often unmet and ignored, and she goes to great lengths to meet the growing demand for her services. Over the years, she has developed a reputation as the house call dentist that Manhattan can trust. Dr. Kauffman’s techniques are beginning to expand the availability of dental services in multiple areas of the United States. The Pennsylvania Gazette explains that one of Dr. Kauffman’s former students, Steven Lin, has used Dr. Kauffman’s innovative approach to serving secluded communities in Alaska and, as a result, even contribute to culture preservation. By promoting health care and improving oral hygiene, Lin empowers Alaska’s indigenous communities to eat and enjoy their culture’s traditional cuisine. Years ago, Dr. Kauffman had a brilliant idea: she would travel to the homes of elderly clients instead of requiring them to visit her. Now her idea has not only changed lives in Manhattan but helps meet the needs of isolated populations in Alaska. From the concrete jungle of Manhattan to the Alaskan wilderness, the pioneering spirit of Dr. Alisa Kauffman is trailblazing a path forward for the world of dentistry. If you have an elderly loved one in need of Dr. Kauffman’s incomparable dental care, then call us at Geriatric House Call Dentistry today at 917-826-6278 to set up an appointment. Aging doesn’t mean you will automatically lose your teeth, discover how a great dentist can help you. Having a great smile requires routine dental care, and a dental checkup twice a year. Proper oral hygiene is important for everyone, but especially for aging adults. There is a connection between good dental care and physical health, but unfortunately, dental care may be forgotten when seniors develop health problems, dementia, or limited mobility. Thankfully, there home dental in New York City can help. Access to quality dental care is one reason why many seniors forgo dental appointments. Fortunately, home dental in New York City provides gentle, compassionate, and trustworthy dental care in the comfort of your home or apartment. There are 4 distinct ways that home dental in New York City can improve your smile. Keep your teeth! 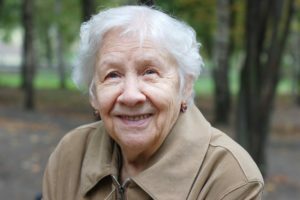 Many people assume that all older adults will lose their teeth and wear dentures, but the truth is that many people keep all or most of their teeth. According to The National Institute of Dental and Craniofacial Research, seniors over the age of 65 have more than 18 of their own natural teeth. Preventative dental care includes brushing and flossing twice a day for two minutes and two visits by in-home dental in NYC. Don’t suffer from ill-fitting dentures. Neglecting denture repair has its consequences including poor nutrition, pain, and discomfort. Get those dentures repaired in the comfort of your own home. Dr. Alisa Kauffman arrives with all of her own dental equipment, sterilized, safe, and ready to use. Oral cancer screenings are a vital part of the dental appointment. Did you know that 95% of oral cancer is found in adults 45 and older? During your oral cancer examination, your dentist will identify conditions that may increase the risk of oral cancer and get your complete medical history. Bite guards, extractions, and cavity fillings can be made or treated at home. The really good news is that not all cavities require drilling, your NYC home dental offers no drill fillings. The combination of preventive and restorative dental care can help seniors improve their smile. Dr. Alisa Kauffman, a top 25 dentist, is dedicated to providing high-quality compassionate dental care to vulnerable seniors in Manhattan. If you’re caring for an older adult with dementia or Alzheimer’s, you’ll want an experienced geriatric dentist. If you want to learn more about home dental in New York City or are ready to schedule an appointment, please contact us today 917-826-6278. Just because your parent or loved one is confined to their home doesn’t mean they can’t get excellent dental care! Age can confine you, making daily life difficult. But Dr. Kauffman makes house visits to make it easy. Here are some advantages. The aging process affects everyone differently, but many elderly people find themselves more or less confined to their homes, making some tasks very difficult. You can find someone to get groceries and keep the place tidy, but what about rides to doctor’s appointments? In certain living communities and with certain doctors, medical-related house calls can be scheduled – but what about dental? 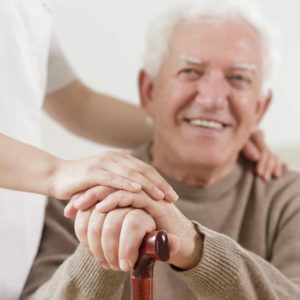 Geriatric House Call Dentistry serves this need in the New York City area by providing excellent dental care for patients who are confined to their homes or otherwise unable to visit an office. 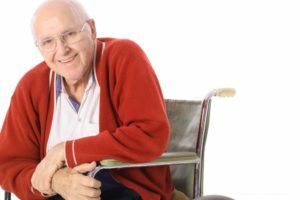 This sort of service is still very uncommon in the United States, but it provides so many benefits for seniors with mobility issues that it is growing rapidly. Here’s what dental care for the disabled in New York City can do for your parent. Mobility problems: Many elderly patients are confined to their homes, and moving to a dentist’s chair is very uncomfortable for them. If your parent or loved one is usually confined to a bed, a wheelchair, or a recliner, a traditional dentist will find it very difficult to work on them. Geriatric House Call Dentistry’s Dr. Alisa Kauffman can do her work anywhere, as long as her patient’s head is supported! Dental needs changing with age: Even if your parent is not confined to their home, your general dentist might not be able to help them as well as Dr. Kauffman. As we age, our teeth change, and our dental needs change. Enamel cannot repair, the jaw becomes weaker, and we become more prone to losing teeth. Dr. Kauffman is a geriatric dentistry specialist who is well-prepared for any of these issues. Mental health: Dr. Kauffman is highly experienced with working with patients with dementia and Alzheimer’s, and has developed many tricks over her career to help with cooperation. While a general dentist may be stumped by a patient with dementia or Alzheimer’s, Dr. Kauffman is able to confidently treat them with some of the best dental care for the disabled in New York City. The dental care for the disabled in New York City that Dr. Kauffman can provide is the best of its kind. If your aging parent is confined to their home, it might be time for a house call. Give us a call today to learn more about how Dr. Kauffman works and what her dental care for disabled patients can do for your parent.